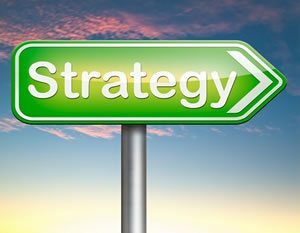 Marketing strategy is about planning the year ahead and now is the time to get your strategy together. It’s surprising how few Roofing Contractors actually have a marketing plan. Most folks just go with the best sales pitch of the day and see what works. We know that the successful companies that seem to grow year in year out, good economy or bad economy have a plan. They develop goals, budgets, assess the competition, consider the messaging, the offerings/incentives, the marketing calendar, the advertising mix, and more. The strategy is developed based on information from the past, economic considerations, growth from the year prior, growth goals for the year ahead and expert advice from people who know. All of these factors are considered and worked together to formulate the plan of attack on business development.